Poha is made of flattened or parched rice and the other ingredients are green peas, peanut and potato. 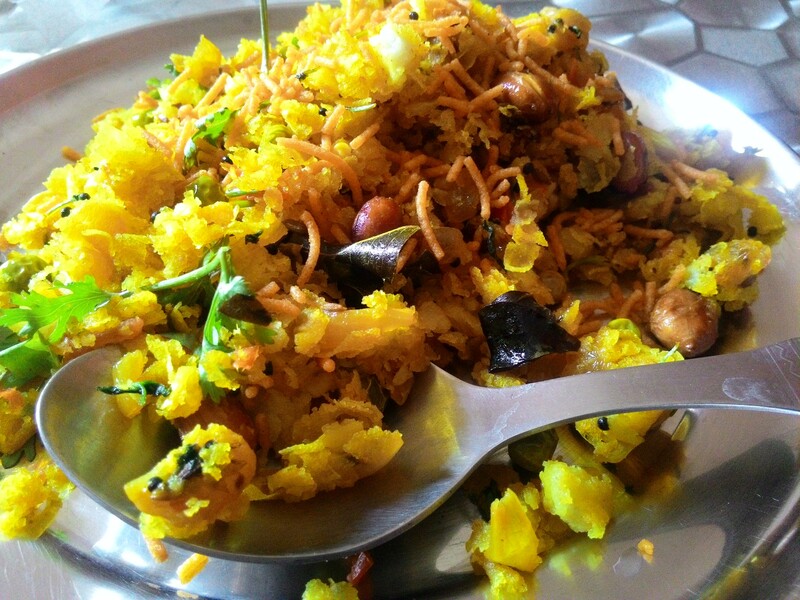 Sometimes flattened rice is known by the name of this dish itself i.e., poha. Chiura, Chuda, Poya, Chira, Atukulu, Pohe and Aval are some of the names of flattened rice. Poha is a healthy breakfast. I make this dish atleast once a week, it could be more sometimes. A slight variation and you can make poha differently every time. We will be discussing all the variations. So that when you add poha in your breakfast menu for twice (or thrice) a week, you get different flavours and taste. In a pan add flattened rice and wash with normal water. Transfer it to a strainer and keep it aside. Take a pan, fill water and put it on high flame. Bring it to boil. 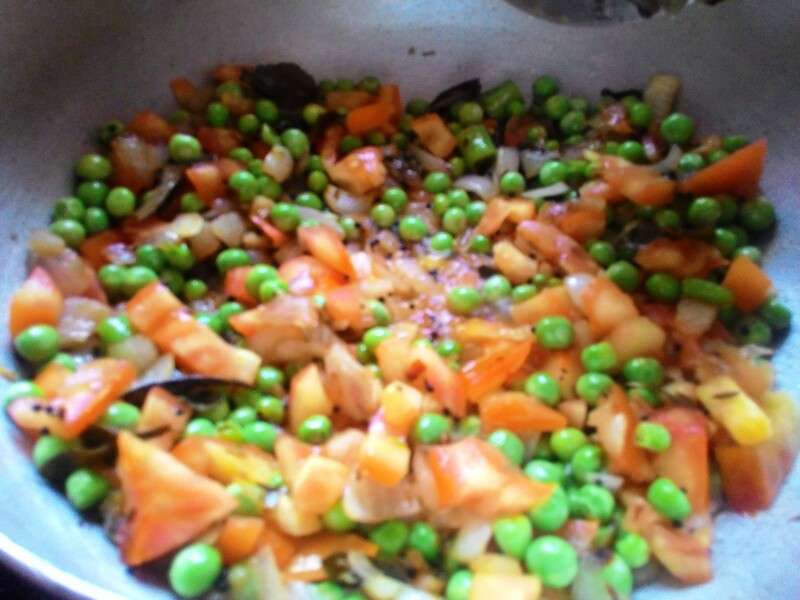 Now add green peas in the boiling water, close the lid of the pan and let it boil for 10 minutes. By the time the peas are kept on boil, let’s prepare the masala for poha. Take a wide-mouthed pan or kadhai. Put it on flame for 30 seconds and add oil. Add peanuts and saute. 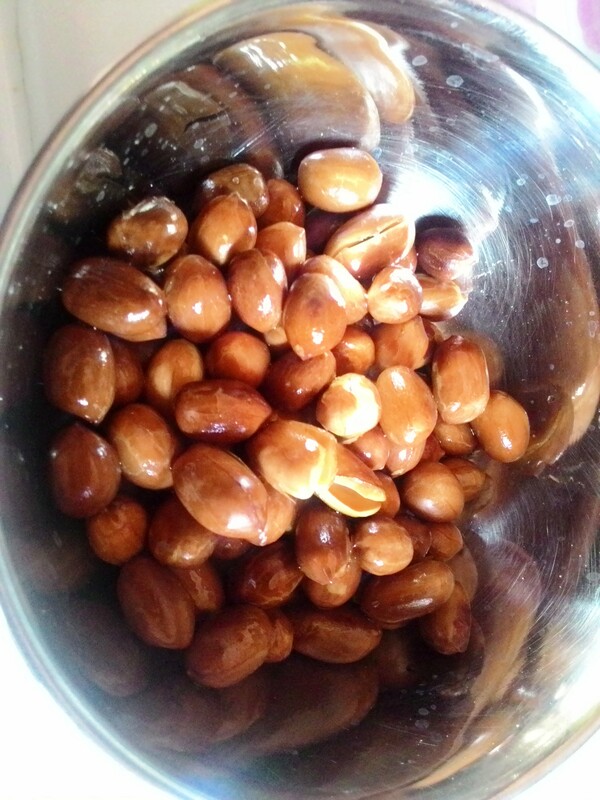 Fry the peanuts until light brown. Don’t fry them too much else it the peanut will turn black. Once the peanuts are fried, take them out from the kadhai, immediately. 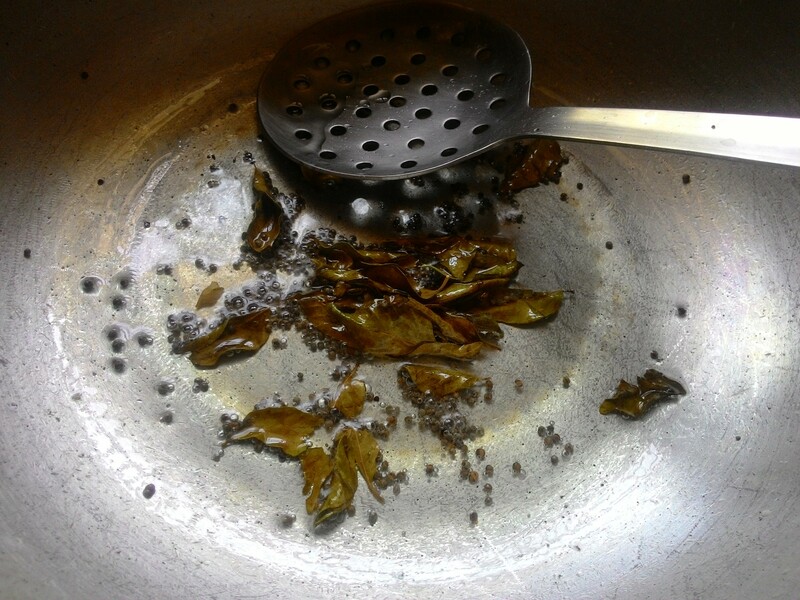 Now, in the remaining oil add mustard seeds, curry leaves and green chilli. 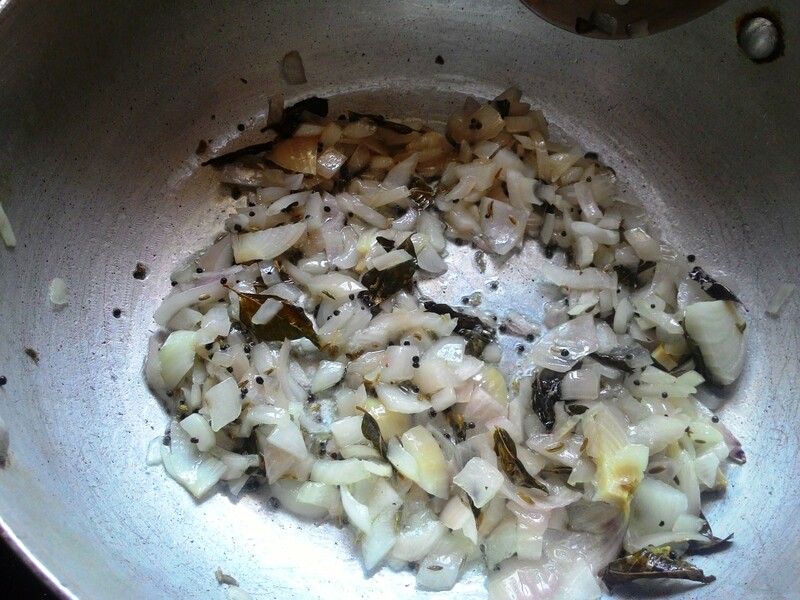 Fry for 30 seconds and add onions. Fry till light brown, add tomato. Saute and fry till tomato turns tender. If you are in hurry, you can adjust the flame between high and low, but I would advise, if you have time let the tomatoes get tender at low flame; close the lid while cooking tomatoes. On other hand, Put the flame off for green peas and wash it in running water for sometime. Now keep it in ice-cold water. This is called blanching of peas; this is how the peas will be soft yet will retain its green colour. Now, add haldi powder, salt, garam masala (optional; don’t put too much, garam masala is just for taste). Saute the masala for 40 seconds more. 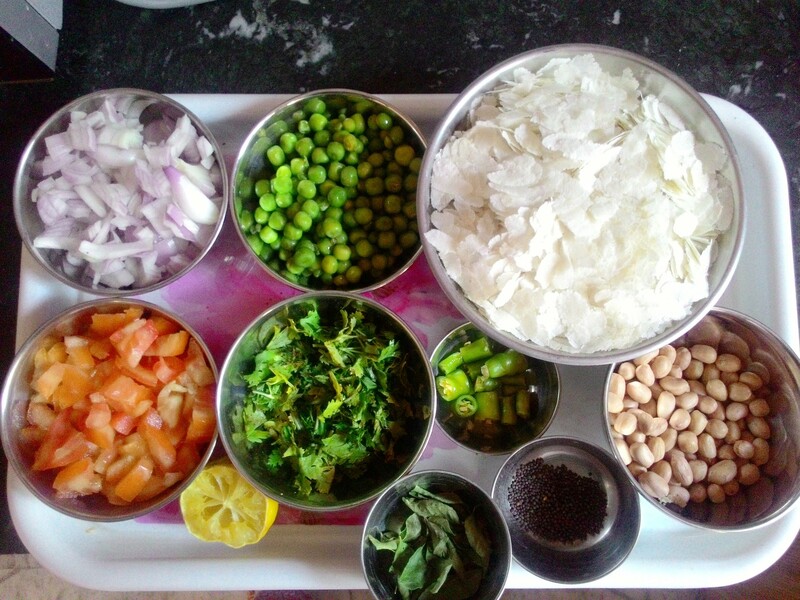 Add the already washed poha, green peas and fried peanuts together. Stir and mix them very well with the masala. Now add the lemon juice, again stir. Turn the gas stove to low flame. Close the lid of kadhai and cook for at least 5 minutes. Keep stirring in between. Check, if poha is still somewhat raw, sprinkle water and stir, close the lid for a minute. Your matar poha is ready. 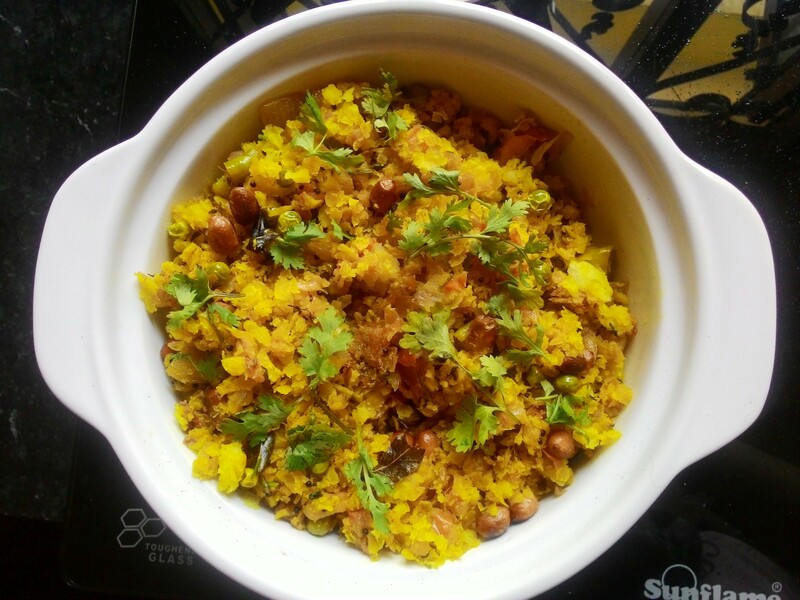 This is another variation of poha. You just need to add aloo or batata or potatoes. Take only one potato while making according to the above ingredients. Cut aloo in small squares (not too small), and boil them. Once done, keep them aside. While you are making the poha masala – after adding haldi, salt and garam masala (which is optional), add potato pieces and mix them well with the masala. Then add poha, peas and peanuts. Garnish with aloo sev or lahsuni sev, coriander and tomato sauce (only if you are fond of the tomato sauce, like me 😀 ). Have a healthy breakfast today! Make it a habit, Stay fit! Secret Tip for Poha – If the flattened rice is very thin in texture, instead of washing them in running water, sprinkle water over the flattened rice. Do it just before you add it to the masala.